Update Twitter ,Facebook and other social networking sites from browser interface itself . 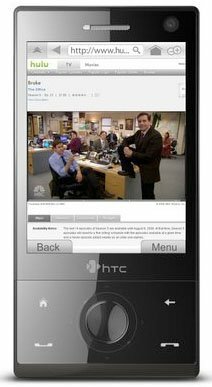 Watch Youtube ,Hulu ,Metacafe , Dailymotion and all other streaming video sites in mobile phones . Supports Windows mobile devices with touch screen. Compresses data to reduce operator charges . Play audio files in web directly . Watch web pages in full size ,color and depth . Skyfire browser 1.0 supported SonyEricsson phones . Blackberry ,iPhone and Android versions are planned and will be released in near future . Download Download Skyfire browser 1.0 . Download Skyfire browser 1.0 for Windows mobile 5 and 6 . You will need to close all other application before running Skyfire browser 1.0 . Otherwise it will show a memory low warning and exit . Opera announced Opera mobile 10 beta browser for Symbian S60 V5 touch devices. Updated: Download Skyfire 2 mobile browser for Android, Windows mobile and Symbian handsets. This software is not compatible with Sony Ericsson P990i. It won't start on this phone. It's actually working only with Windows Mobile phones and Nokia E and N series. So, if you don't have any type of both phones, don't try to install the app and waste your time.